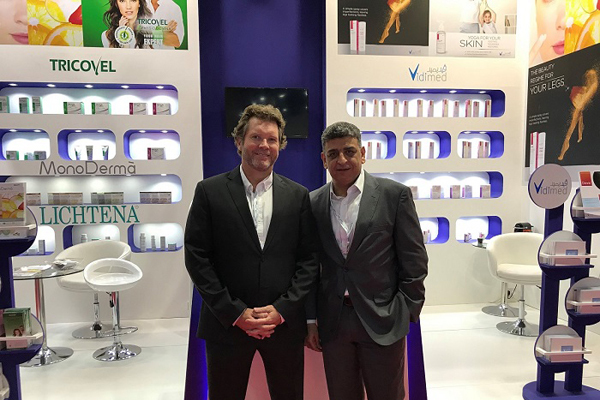 The Principals Mena (TPM), a fast-growing brand marketing company in the Middle East and North Africa (Mena), recently launched its latest range of best-in-class health, skin and hair care products from a network of leading international partners. The launch took place at a special launching event held at V Hotel, The Palm, in Dubai, UAE. The launch was part of the company's continuing efforts to bring high-quality and carefully-chosen consumer healthcare and wellness products to the region. The event also marks the regional entry of Vidimed and Giuliani - European brands exclusive to TPM, said a statement. Headquartered in Dubai, TPM is one of the leading companies in Mena providing baby healthcare, consumer, pharmaceutical and sports nutrition products, trusted by global companies in the healthcare and pharmaceuticals sector for its diverse expertise and network in marketing healthcare and consumer products which make it a household name in local markets, it said. “We maintain our unique market proposition to deliver successful brands that are highly innovative and follow international healthcare standards and practices. We are confident that through our experiences and established capabilities in the Mena region, our partnership with Vidimed and Giuliani will be a great success and will quickly establish their market reputation as a trusted and known brand,” he said. “We keep our vision to be at the forefront of our industry in bringing unique products to the people we serve. Our target products are carefully selected to ensure our resources, expertise and energy are focused on the opportunities that can bring benefit to all our partners and our community,” he added. Two latest hair and skin products from Giuliani, one of Italy's most trusted pharmaceutical firms since 1889, were also launched during the event, the Monoderma and Tricovel. Monoderma is a natural skin cosmetic product free from preservatives and colourants, containing pure vitamin formulations in biodegradable vegi-capsules, which can be applied topically to naturally enhance skin's tone and firmness. It reduces wrinkles, hyper-pigmentation spots and rehydrates the skin. Tricovel is a specially formulated brand that protects the hair from temporary loss due to various causes by its innovative and exclusive Tricactive3 sustained release technology that guarantees the convenience of just one application every three days. “Our range of expertise and skills in hair and skin care innovation follows a high standard of scientific knowledge and research, which ensures our consumers a better quality of health experiences. We are committed to deliver high quality products through our collaboration with trusted leaders in the field and we believe that TPM's established network can further enhance the healthcare supply chain in the region,” he added. The new line of products has been tested and approved by leading authorities in the European Union and regulatory authorities in the UAE and Saudi Arabia. The products are available at leading pharmacies and nutrition specialty stores across the country.